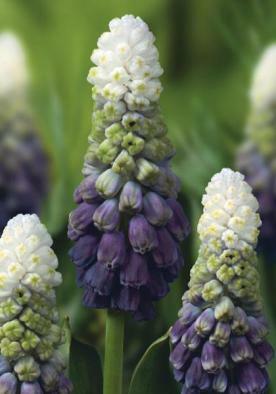 Muscari prefer a sunny aspect and will thrive in any type of soil with reasonable drainage so plant 8cm (3") deep and 7cm (3") apart. Like a lot of Spring bulbs once the flowers are finished the foliage is used to bring energy into bulb for the next year. 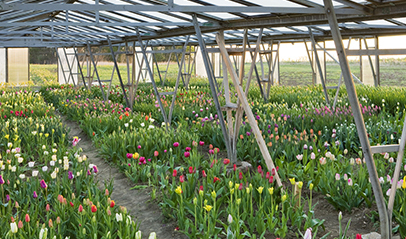 The bulbs naturalise if they are left undisturbed and after they have finished flowering they can be lifted and split to avoid clumps getting congestion.